Counselors are most effective when they build their understanding of people on the bedrock of God’s word. The complex challenge of integrating its timeless truth with evolving approaches in the counseling professions necessitates periodic evaluation of programs designed to prepare future counselors. Thus, we continually evaluate and reshape our program so that we provide excellent preparation for this work. Indeed, some of that reshaping is happening in the coming months. Western Seminary will launch a 68-credit MA in Counseling (MAC) degree at the San Jose and Sacramento campuses in the fall of 2018. The new degree replaces the outgoing MA in Marital and Family Therapy program. The MAC's revised curriculum provides future counselors with a more focused education than ever before. The streamlined core of Bible and Theology courses are now designed explicitly for counseling students. These survey courses present an understanding of God, the gospel, and humanity as revealed throughout each book of the Bible--while spotlighting themes and passages of particular relevance to counseling work. 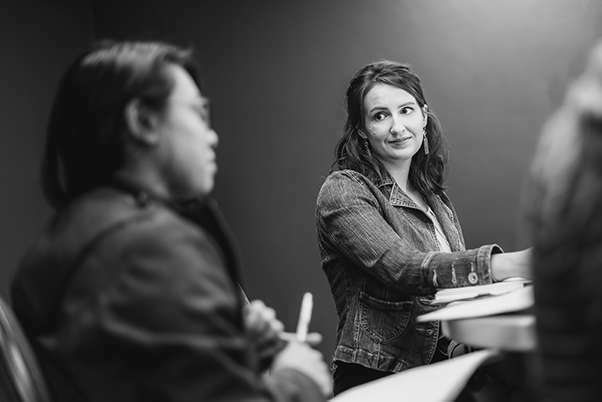 Far more than simply studying scripture with Christians, this learning opportunity is experienced with professors who bring "first language competence"; and experience in both theological and counseling disciplines. "Our faculty are all practicing clinicians—licensed professionals with years of both clinical experience and teaching experience. They are seasoned professionals who demonstrate mature Christian faith and a strong desire to mentor the next generation of Christian mental health professionals." Bev Wiens, Ph.D., M.F.T., Director of the California programs. The new MAC program is also distinguished by the option to complete an Addiction Studies Certificate, to add to the student’s chosen license, as desired. This program meets the educational qualifications to apply for certification with the California Consortium of Addiction Programs and Professionals (CCAPP), equipping students to bring healing amidst a host of addictive behaviors. The MAC also means savings in cost and time for our students. Since the program length is reduced by five credits, students will pay less for tuition and books, while also spending an average of one semester less in training. Classes are scheduled for evenings and intensive weekends, specifically to reduce the number of commutes students make to campus. For all this talk of streamlining and savings, students will receive the same high quality preparation that students have in the past—the quality of training that earned Western Seminary's program approval with the California Board of Behavioral Sciences (BBS) in 1992. And perhaps just as important, students will get the same rigorous education that has local Christian and secular counseling sites clamoring for our students as their next trainees and associates. The healing work that counselors can provide is crucial to the life and health of our churches and communities. This requires well-trained counselors who are ready for the challenges they'll face in the people-helping professions. That's precisely who Western Seminary will continue to prepare with the launch of the MAC program this fall.